In The Geometry of Wealth, behavioral finance expert Brian Portnoy contends that tackling the big questions about a joyful life and tending to financial decisions are complementary, not separate, tasks. Portnoy reveals that true wealth is achievable for many - including those who despair it is out of reach - but only in the context of a life in which purpose and practice are thoughtfully calibrated. 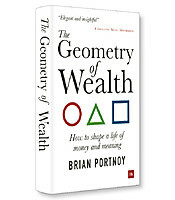 Brian Portnoy’s new book, The Geometry of Wealth: How to Shape a Life of Money and Meaning, presents a model to better understand your relationship with money. 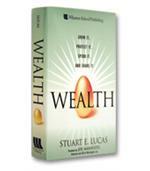 It’s about examining the role that wealth (and your lifelong pursuit of it) plays in your life’s journey. Context: the need for purpose beyond one’s self. Provided you pay attention to all four touchstones in your pursuit of wealth, your goal of funded contentment will be attainable. The shape of the circle illuminates the “adaptive dynamic” of navigating life’s inevitable ups and down in the journey towards funded contentment. The triangle signifies the need for a hierarchy as you move from purpose to practice. Established priorities are designed to help separate distractions from mission-critical tasks. Acknowledging the attraction of favored “hot” stocks or bonds. 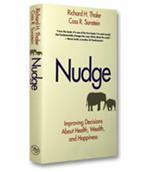 The flexibility to change one’s mind about any particular decision. These four “corners” should, the author argues, form a template for any investment decision. 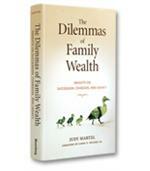 Portnoy argues that the pursuit of wealth is a temporal journey. As such, we tend to get lost in the past (reviewing both successes and failures) and the future (speculating about future outcomes) without fully appreciating the joy of the present. This creates further complications when we contemplate our “money lives.” The inability to remain present leads to an “enduring tension” between two distinct states of mind –– having enough and wanting more. Portnoy’s geometric model proposes that the more present you are able to be, the greater the likelihood that you will experience a sense of having enough rather than the tension of needing to acquire more. The clear and simple path to funded contentment offers both context and placement, thus grounding any errant uncertainty about whether you’re doing enough to achieve wealth. 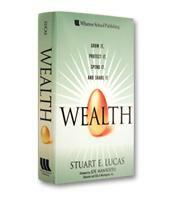 The Geometry of Wealth proposes a model of wealth as funded contentment. 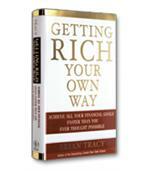 Portnoy takes you on a compelling journey of both spiritual and financial discovery as a means of understanding wealth within the broader context of your life. Instead of chasing a number, think about what contentment will look like for you, and then figure out a plan to get there.